Summer and winter sports are popular in Whale Cove. Sporting events include hockey, baseball, basketball and many arctic games. The Whale Cove recreation department hosts the Annual Johnny Kook Memorial hockey tournament that brings teams from all Kivalliq communities for a weekend of fun and competition. Recently, a new activity has gained popularity in Whale Cove. It’s the sport of paraskiing. 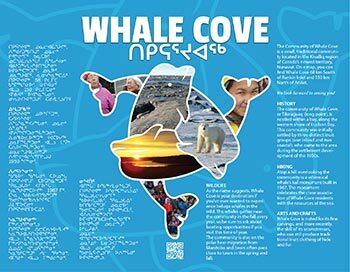 The Whale Cove Paraski Club is managed by the Hamlet of Whale Cove Recreation Services. To know more about equipment rental and courses please contact the representative at the recreation center.